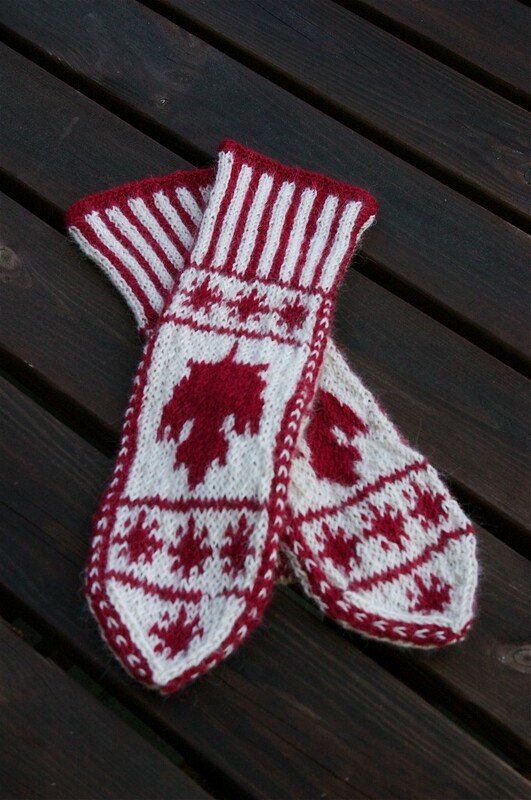 Alexa recently designed and knit these cool Maple Leaf Mittens. The pattern and more information are right here. Be patriotic and knit or crochet a flag for Canada Day, eh? We’ll be open on July 1 in Point Grey from noon to 5:30 p.m. but closed in Edgemont. We’ve re-stocked the popular Knit Kits in both white and black. And better yet the price has dropped to $24.95. The Loonie has been on a rollercoaster ride over the past year which has played havoc with our pricing. It’s regained some of it’s strength lately which should result in some price reductions. Yay! Point Grey Knit Nights will continue to run indefinitely. 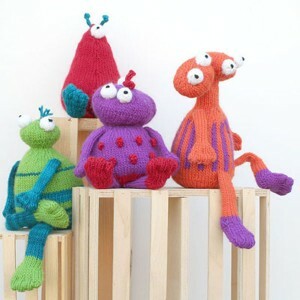 Drop by any Wednesday evening from 6:00 – 9:00 p.m. and join us for some knitting or hooking. 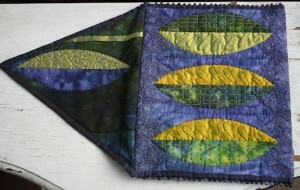 Pick up tips and inspiration from other local crafters. There’s no need to register and there’s no charge. Our special this week is Rowan Classic Baby Alpaca DK at 40% off. This is a luxurious pure alpaca dk weight yarn that comes in lovely pastel shades and earth tones. There are scads of dk weight designs that would work for this yarn and we’d be happy to help you find the perfect pattern. 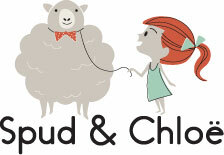 Or grab a ball of Baby Alpaca together with a ball of Kidsilk Spray and knit a pair of Mrs. Beetons. They’re beautiful Victorian styled wristwarmers with soft ruffles that look charming under a jacket sleeve. If you have a little girl to knit for, take a look at this cute summer tee design using Rowan Calmer, one of our recent specials. Check out all of our current Specials right here. We’re continually amazed at the incredible UY team of staffers. Both stores are bursting with inspiring projects created by these clever crafters. This beautiful bag is even more stunning in person. The competition was incredibly tough. Linda Renshaw writes: “The task of selecting our favourite entry was near impossible with our top choice changing several times. We spent a long time carefully looking at each entry to whittle it down to the top few. Picking just one proved too much and so we have also awarded two runners-up prizes.” And one of the runners-up prizes was awarded to Valerie! You can peruse all of the top entries right here. Congrats Valerie, it’s nice to see you receive formal recognition of your remarkable talent. “”Every time I am in the store Jessica is there and she is incredibly helpful. I am so impressed with her ability to inform, educate, enthuse and undo my mistakes with my knitting. I am a brand new knitter (I have taken the first two beginner classes with Sandra (another star!) and I know pretty much nothing about knitting. Without a cheerleader such as Jessica, I would have thrown down the wool I had bought, burned the pattern and just forgot the whole knitting thing entirely. Instead, Jessica has offered help and has been so enthusiastic about the lovely wool and patterns in your store that I have spent enough money (2 new books, enough wool for 4 new projects and scads of supplies) to seriously worry my husband. Although, he went to the store and got me a gift certificate which was sold by Jessica! I think he is fishing for an Aran sweater. Sandra is my second lifeline. I was so confused a few weeks ago and incredibly annoyed with my husband and son for interrupting me (a particularly brutal Star Wars fight between Darth Vader and Luke Skywalker) during a knitted lace sequence that if it was not for Sandra’s help, I would have given up! She was so supportive and easy to approach and again I left the lesson enthusiastic about knitting! Even with the frustration of learning something new and very outside of my abilities, she has been very informative and is constantly pushing the whole group to try harder and more complex things. When the techniques work, the euphoria is visible on each new knitters face! The other lady who works there is also lovely (I cannot remember her name) and has dropped a few skeins to help me with my knitting questions as well! This week it’s Rowan 4 ply soft at 40% off the regular price. This is a classic soft plied merino yarn that knits up beautifully. If you’re knitting socks these days, use 4 ply soft for Hedera or Queen of Cups, two popular sock designs from past issues of Knitty. 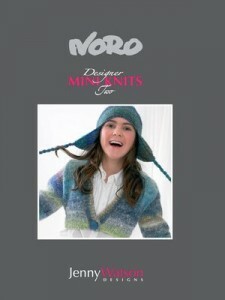 And be sure to have a look at all the great designs in the new Summer Knitty. So this week’s special is ‘Hundreds of Last Balls’ at grab-it-and-go prices. We’ve made it very easy for you. Prices are $3.99, $2.99 or $1.99 per ball or skein. These are great yarns that you’ll likely never see again, discounted from 40% – 85% off the regular price! Check out Elsebeth Lavold Classic Al and Silky Tweed, the glittery Dazzle and New Smoking, Online Tessa, Tessa Colour and Tessa Tweed, all at $3.99 per ball. We have several Rowan yarns at $3.99 like All Seasons Cotton, Big Wool Fusion, Handknit Cotton, Plaid, Ribbon Twist and Soft Baby. Even better, Diamond Luxury Alpaca Cashmere and Naturgarn are just $2.99 per ball. And last but not least is R2 Fuzzi Felt at $1.99 – that’s 85% off the original price! The entire list is right here. There are many hundreds of balls in both stores but quantities are limited. We suggest you move quickly if there’s something you can’t live without! 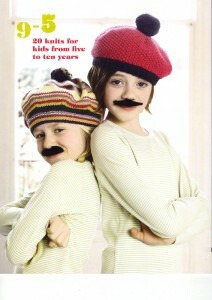 Be sure to check out the Summer 2009 issue of the Twist Collective, with loads of fabulous designs. If you’re liking lace these days, have a look at local designer Sivia Harding’s latest, Aphrodite, knit in Malabrigo Lace. And don’t miss Artichaut by Anne Hanson. Both are gorgeous designs. We have lots more of Sivia’s leaflet patterns in our stores. Local designer Holli Yeoh also has a cute design in this issue. It’s Dizzy, a great kid’s sweater. Mr. Boy is a perfect top-down sweater for men or boys. We have several DK weight yarns that would be great for this one. Uhura is a lovely little summertime top to wear on it’s own or slip over a T.
And be sure to have a look at Niles and Cleo for a chuckle. A pair of acid green crocodiles wearing little hoodies, they’re too funny! We have loads of Cascade 220 if you want to give these a try….